The popular CLAX cart is a versatile materials handling cart for use in offices, stores and other service areas. 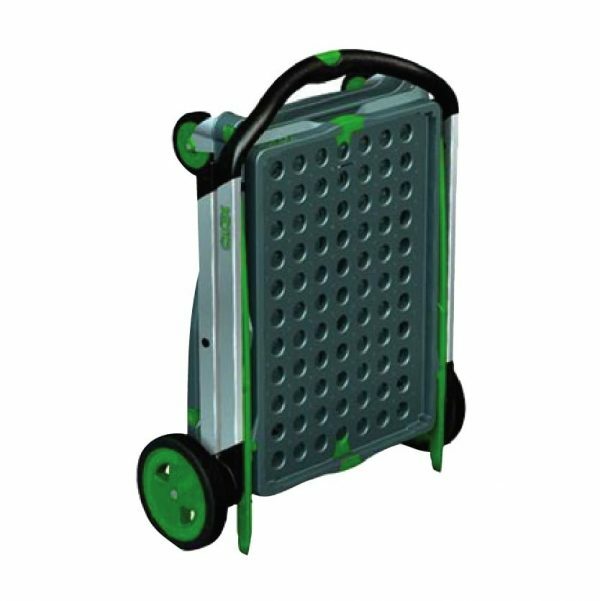 Manufactured from injection moulded plastic and aluminium this lightweight trolley can be collapsed quickly and easily at the push of a button. Unit includes one folding box which can be clipped to the upper platform. Weighs only 7.3kg with a maximum load capacity of 60kg. When it comes to storage and material handling, space efficiency is key. Here at Krosstech, we are happy to provide innovative solutions that maximise convenience, storage space, and functionality. 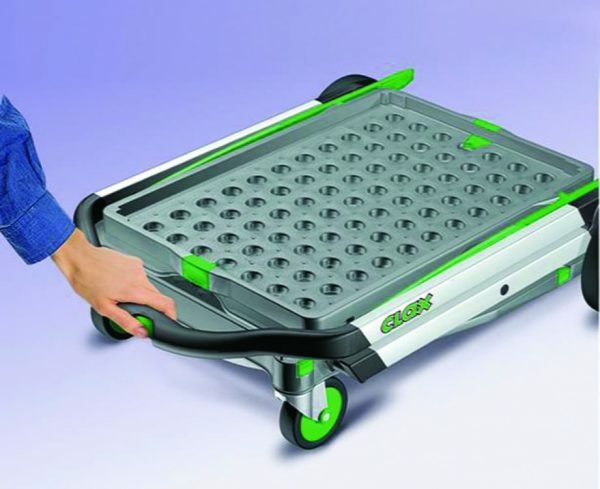 The Clax cart combines the regular functions of a standard moving trolley with the added benefit of being compact for storage. Aside from its naturally small and well-balanced size, this trolley can easily be folded flat in seconds, allowing you to store it when not in use. 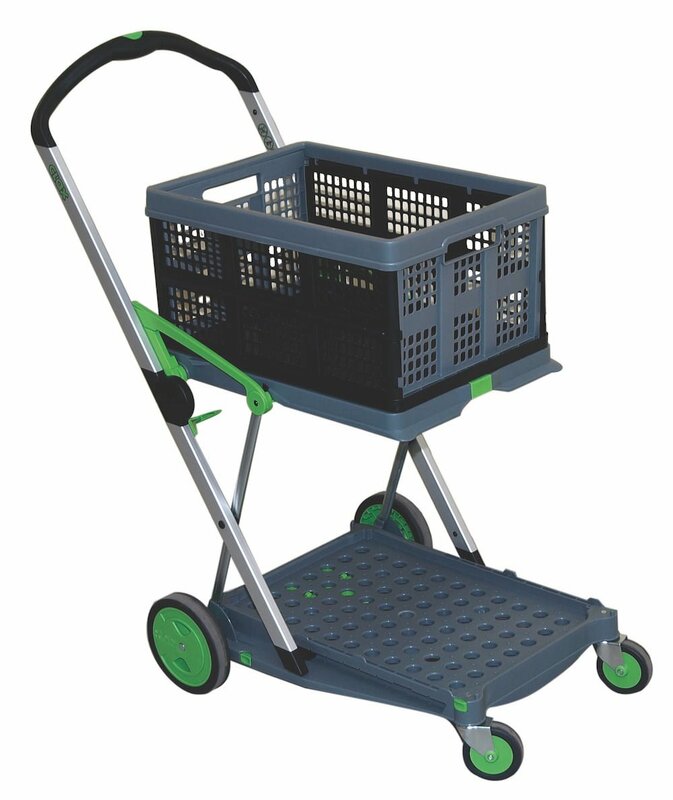 The Clax cart is lightweight and convenient, but it is also durable and versatile. 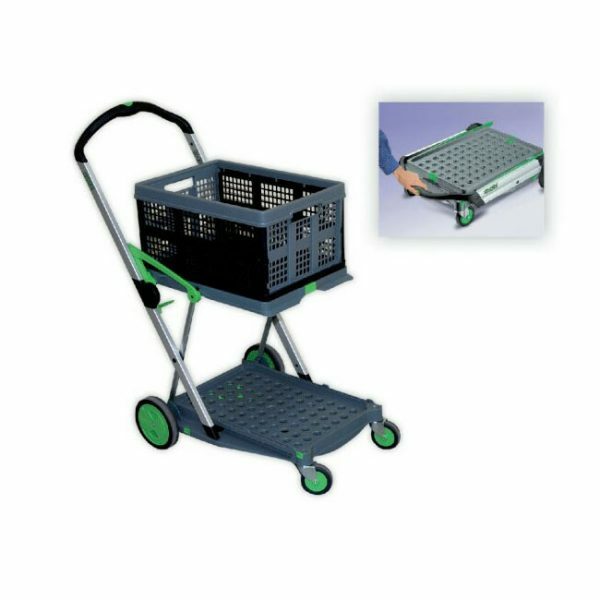 This mobile folding cart can last many years, and has a built-in wheel brake mechanism to ensure security of materials and personnel safety while on a slope. The Clax cart also offers multiple benefits to a wide range of applications. It comes with a collapsible crate and a lift-up tray which can hold different materials, including produce, cloths, tools, gears and equipment, tires, catering products, and luggage.